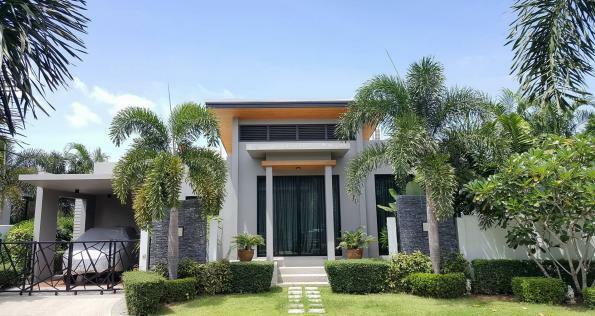 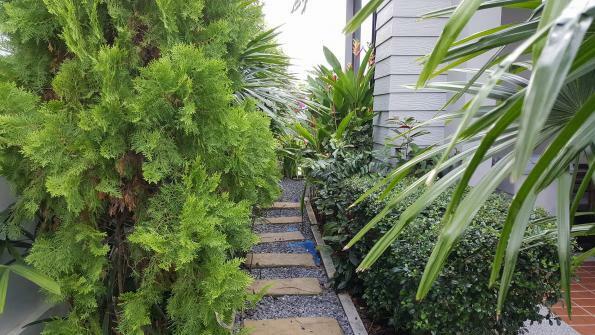 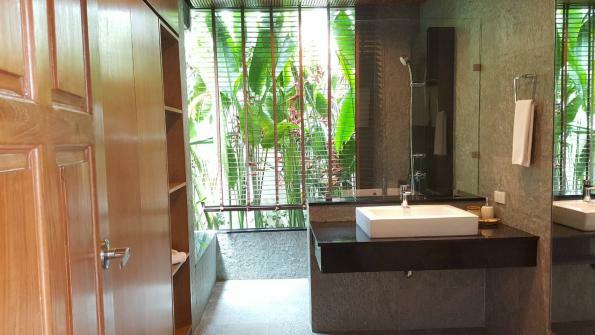 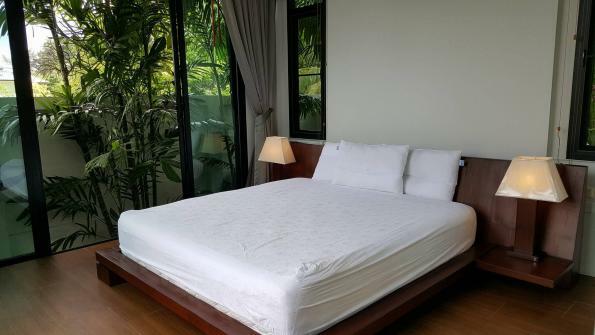 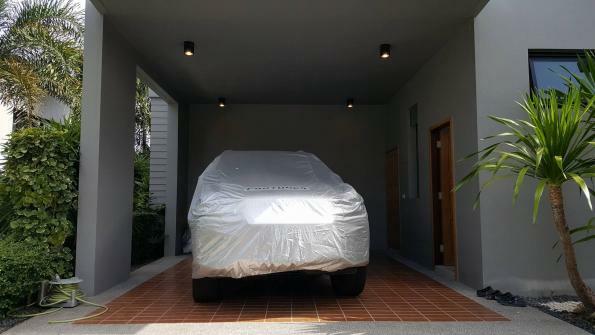 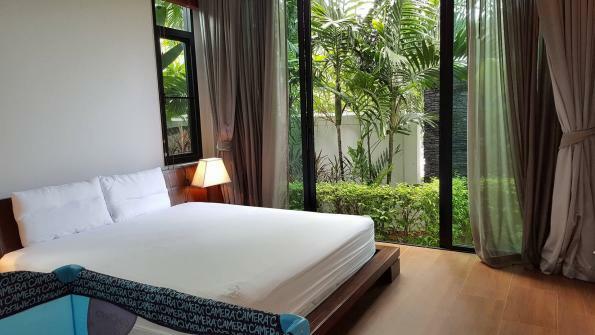 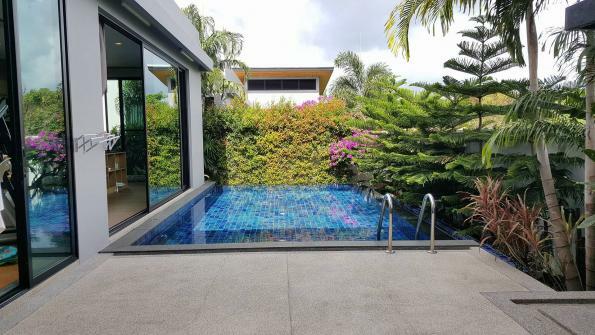 This Pool Villa located in Baan-Boondharik Phase 1 which is designed with the concept of �Modern Zen�, consist of 2 Bedrooms. 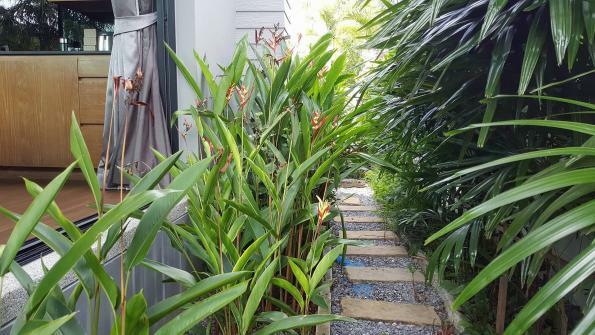 Both bedrooms are equipped with en-suite bathroom plus 1 guest toilet by kitchen area. 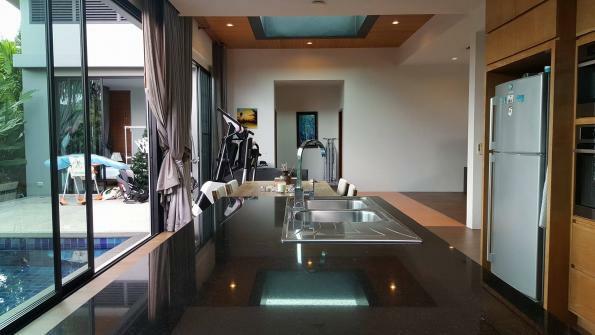 There is a beautiful mosaic tiles in the center of the house. 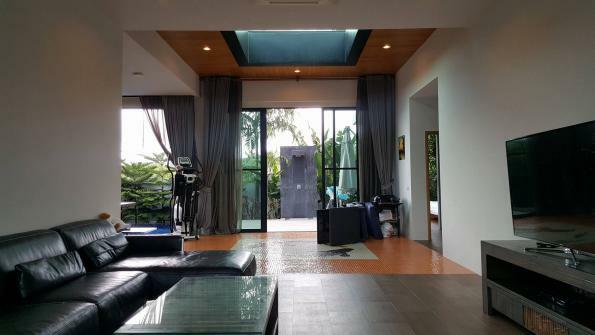 The uniqueness of the house is the bright skylight roof with a good ventilation from 3 meters high ceiling and a giant glass doors. 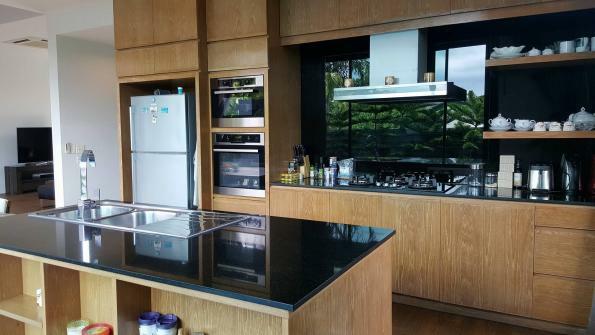 Kitchen is fully equipped with cooking appliances and open plan kitchen design. 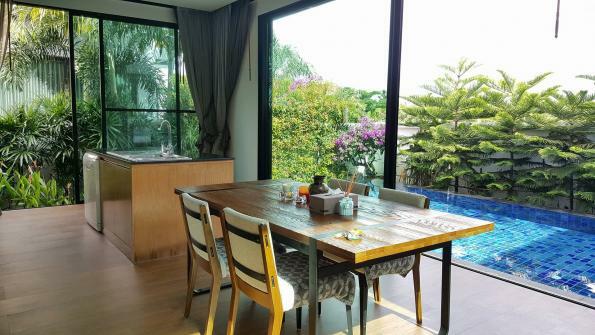 From the dining table, you can overlook to swimming pool that is accessible from the dining and kitchen area.